For everyone familiar to IRC, Discord should be like a fresh breeze. Much like the IRC chat discord comes with slash commands which you'll require to handle/interact with the bot. To use a command simply start with a slash ("/") and start typing out the command. 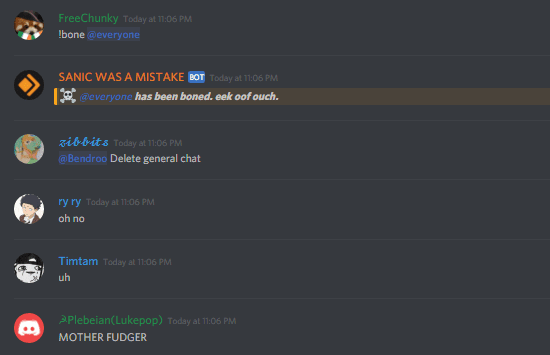 So today in this post i will be covering all the bot commands that you will possibly need to handle discord like a complete pro. Since every other person on the discord community is very fond of the music bot command, thus it will be appropriate to start the list of commands with Music bots, Read on! 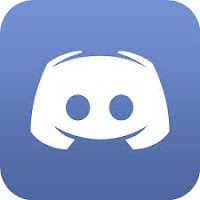 But before we proceed,full disclosure, all the bots i ll be mentioning in this post are discussed in more detail on the official site of discord. Click here to take a look at all the bots. After trying out many bots, i've found "Fredboat" BOT to be the best. Fredboat is a FREE music bot which delivers high quality music on your Discord server. Now for this bot to work, you'll first need to authenticate it with your Discord account. You can authenticate it with your discord account from here. After you're done with authenticating the bot and setting up with your account, You can use the commands listed below to operate this bot in its full glory! 1. ;;Play url - This command plays the music from the source Url which you specified. 2. ;;join - This command is used to make the bot join your current voice channel. 3. ;;stop - This command is only used by the moderators and it is used to Stop the music player and clear the playlist. 4. ;;nowplaying - This command is used to display and the currently playing song. 6. ;;seek time - This command is used to set the position of the track to the given time. 7. ;;fwd time - This command is used to forward the track by a given amount of time. 8. ;;rew time - This command is used to rewind the track for the specified amount of time. 9. ;;shuffle - Toggles shuffle mode for the current queue. 10. ;;leave - This command is used to make the bot leave the current voice channel. 11. ;;repeat - This command is used to change to repeat mode. 12. ;;skip - This one used to skip the currently playing song. 13. ;;split - This command takes the currently playing Youtube track and splits the track based on the tracklist. HOW TO ADD MUSIC TO THE PLAYLIST?? You just need to type in the command below to import the whole playlist. Also as previously discussed just type in ;;play url to import the music. So similar to that we can import the whole playlist by using the url of the playlist. and after you're done import the playlist then just type in the music name to directly start playing the music from the playlist. Now after trying out several bots,i've found that for all other purposes (other than Music) i've liked "Dyno" Bot. And i can safely state it to be the best. you can invite dyno bot and authenticate it with your discord account from this link. 2. ow - This is a simple command to get the stats of overwatch. 1. support - This command is used to dyno support information. 2. info - This command is used to the all the info about a particular bot. 4. uptime - This command is used to get the bot's uptime. 1. rps - This command allows you to play rock paper scissor with the bot. 2. whois - This command allows you to get the information about any particular user. 3. distance - This command is used to get the distance between two sets of coordinates. 4. randomcolor - This command is used to generate a random hex color with preview. 5. membercount - This command is used to count the members on a particular server at particular instance. 6. google - This command is used to get the search results from google search engine. 7. flipcoin - This command is used to flip a coin. 8. afk - This command is used to set an AFK(Away From the Keyword) status whenever you are mentioned in the chat. 9. afk ignore - This command is used to not return in a channel from AFK when talking in the channel. 10. roll - This command is used to roll the dice. 11. rps - This command is used to play rock paper scissors with the bot. 12. serverinvite - This command is used to create an invite to a particular server. 13. dynoavatar - This command is used to gernerate a dyno-like avatar. 14. emotes - This command is used to get a list of server emojis.